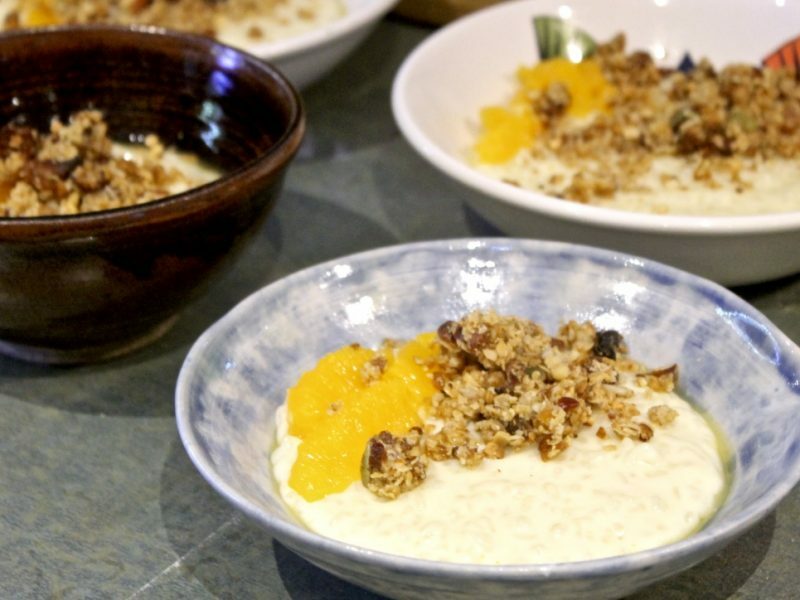 To make the rice pudding, combine the milk, cream, vanilla, sugar, cinnamon, cloves, ginger and orange zest in a pan. Bring to the boil and then turn off to let the milk infuse for an hour. After an hour, pour the milk into a large saucepan with the rice and cook on a low heat for 30-40 minutes (or longer if it hasn’t thickened by then), stirring frequently. Cover the pot until it thickens, and once thick add the orange blossom water. Divide up between bowls and top with your granola. What a fabulous idea! I’d never thought about combining rice pudding with granola before but I definitely see how it could work. This looks really tasty. I wonder if you could get crazy with different flavours of granola, too?